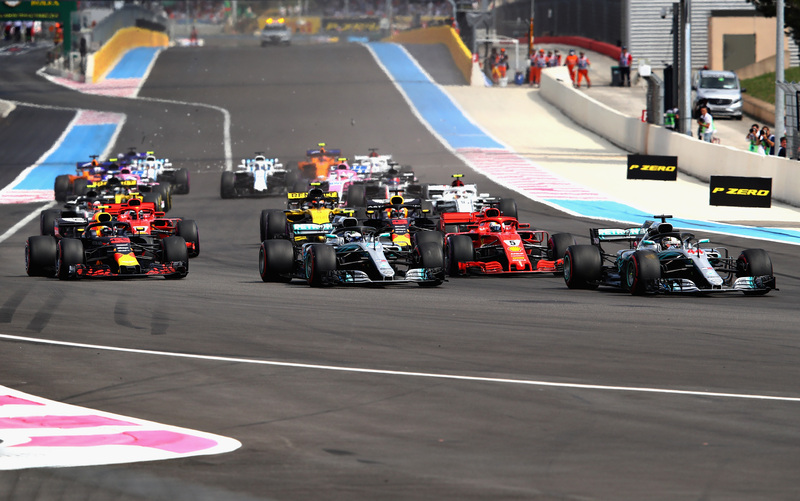 Formula 1's return to France may have come with a number of teething problems, but there are plenty of positives to take from an interesting - if unspectacular - grand prix at Paul Ricard. 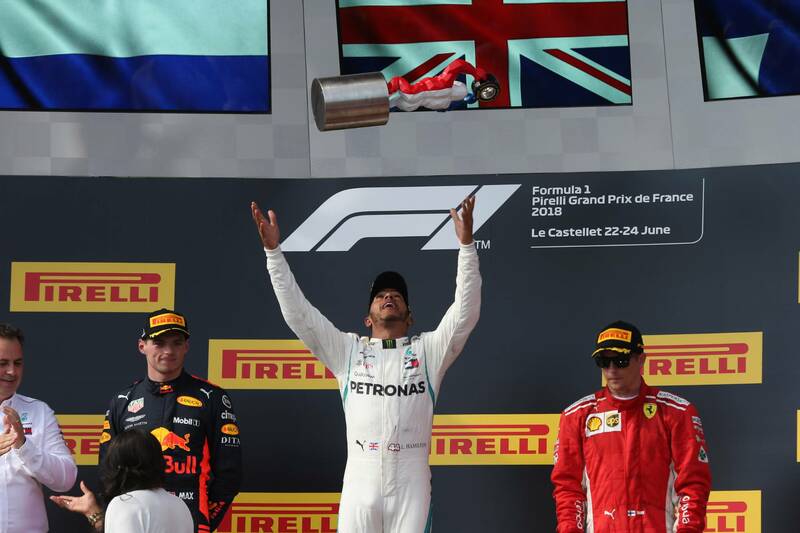 Much of the build-up to the French Grand Prix stemmed from negative aspects of the Formula 1 race weekend at Paul Ricard. Be it the traffic, the circuit layout, or the lack of strategy options, the outro of the sport’s long-awaited return to France looked set to offer a sour note. And yet Sunday offered a number of reasons to be positive about the the race weekend. The main grandstands were packed with fans waving the French tricolore as the drivers took to the grid. There were far fewer reports of traffic troubles on the roads getting in for raceday at least, with 65,000 fans attending on Sunday. And the race itself, while not being a classic, offered a number of dramatic moments, adding to the developing storyline of the season. Lewis Hamilton was able to take another fuss-free victory for Mercedes, as has been his style through the early part of this season. The first-corner clash between teammate Valtteri Bottas and Ferrari’s Sebastian Vettel meant he didn’t face any serious pressure at the front of the pack, instead managing his pace to keep the Red Bulls at bay. Leading all but one lap, there was little stopping Hamilton from converting pole into victory on a weekend where he was pretty flawless. Following his anonymous Canadian Grand Prix showing, it was an important response. “Every race is a team effort, but I think that when you are constructive and criticise yourself, you take a step back and you approach it with new methods and new determination,” Hamilton said. The big talking point of the race was the clash between Vettel and Bottas at Turn 1. Having made the best start of the lead runners, Vettel tucked into Hamilton’s slipstream, only to find himself boxed in on the inside. He hit the brakes early to ensure he didn’t slam into Hamilton ahead and attempted to give Bottas space, with the lock-up sending him straight into the path of the Finn. Both cars were damaged and sent around, forcing them to pit and drop to the back of the pack. “ I would have liked to have a worse start, because then it would have been more straightforward!” Vettel joked post-race. “I wouldn't be in that position. I haven't seen it yet, but from the inside it didn't feel or didn't appear that there was a lot I could have done differently. I tried to get out of it. Obviously you don't hit the brakes 200 metres before the corner just because you think it could be a bad spot to be in, you still try to be competitive. While significant damage to Bottas’ floor prevented him from much of a recovery charge, Vettel was able to pull a string of solid moves. For a race that we feared could descend into tedium given the lack of overtaking opportunities, Vettel scythed through the field at a decent rate of knots. Sure, DRS was a huge help, with a headwind only making it more powerful on the run to the Turn 8 chicane where Vettel was making the bulk of his moves. But he was still in contention for a podium at one stage, aided by the one-stop race that meant he could theoretically have got to the end of the race on the set of Soft tyres he fitted at the end of the opening lap. This race will nevertheless go down as a key defeat for Vettel. This weekend was always shaping up to be about damage limitation given Mercedes’ advantage, but to finish down in fifth, beating only the ailing Bottas from the ‘big three’ teams offers a points swing he could ill afford. One mistake now puts Hamilton 14 points clear at the top, heading into a run of circuits that should suit Mercedes nicely. The drama at the start had the effect of spicing up proceedings nicely. While we had Vettel and Bottas providing some action in their fightbacks, we saw the main beneficiaries from the melee running out of position, with Carlos Sainz Jr. a fantastic P3 under the early Safety Car for Renault and Charles Leclerc running sixth. While neither could maintain their position on the restart, both enjoyed spirited fights out there in the opening stages (it was nice while it lasted, at least) and put in some of the stand-out performances of the race. Sainz was due to finish as the top midfielder before a loss of power in the final stages, dropping him to eighth behind Haas’ Kevin Magnussen. Leclerc took P10 as he lost time behind the early stoppers after making his tyre change, although his solid defence and pace will only add speed to the hype train surrounding the “2019 Ferrari driver” (as coined by one commentator during the race). Let’s see on that one, because the 2018 Ferrari driver hardly did himself a disservice at Paul Ricard on Sunday. Kimi Raikkonen was poor in qualifying, finishing sixth, and slipped back at the start through the drama. But the Finn battled back well, making a long first stint work so he could fit Supersofts for the run to the flag that allowed him to catch and pass Daniel Ricciardo for third. Ferrari’s pace was a cut above that of Red Bull at Paul Ricard, so to bring home at least one podium finish will offer some solace to the Prancing Horse. The race today belonged to Hamilton, though. Two hours after England finished its 6-1 battering of Panama to secure its place in the last 16 of the FIFA World Cup in Russia, Hamilton flew the flag proudly once again. In typically English style though, there was a certain humility to the nature of his win. He did what he had to do with no frills and no scares. Job done. As for the event itself? 2018 will hopefully give the organisers a number of lessons to learn. Fans shouldn’t have been weighing up whether or not to even bother trying to get into the track on Sunday due to the traffic levels. Drivers shouldn’t have been arguing with officials to try and complete their short journey from the hotel opposite the track to the paddock. Teams shouldn’t have been abandoning their cars at the side of the road and walking to the circuit. But there are positives to come from the race and weekend. The layout offered some decent action, even if DRS did play a helping hand, and the tyre situation can hardly be deemed as a Paul Ricard-specific thing, limiting the number of strategy options on offer to teams. And most impressively, there was a genuine level of heart and love in this race from those who turned up. It clearly meant a lot to bring grand prix racing back to its roots in France. That passion is something you can scarcely buy in racing nowadays. France’s national motto is “liberté, égalité, fraternité”. F1 has its Liberty (ho-ho-ho). Equality? Yeah, it needs to work on that. And fraternity? It was felt in abundance this weekend. And that’s a big positive to take away from a race weekend that should not be written off as a disaster in the sport’s memory.